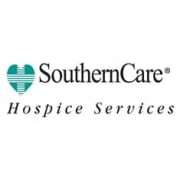 SouthernCare Hospice - Altoona is committed to clinical excellence in hospice care. We see each individual as more than a patient. Our skilled professionals and volunteers design an all-encompassing program, customized to each patient that addresses not only the physical needs but also the emotion al and spiritual needs of the patient and family. Our hospice teams provide compassionate care for individuals and their families when life matters most. Would you recommend SouthernCare Hospice - Altoona? Assignments are very flexible which allow me to work full time and volunteer on evenings and weekends. SouthernCare staff is very friendly and supportive! I feel like I am giving back to those who helped build my community and I love it.